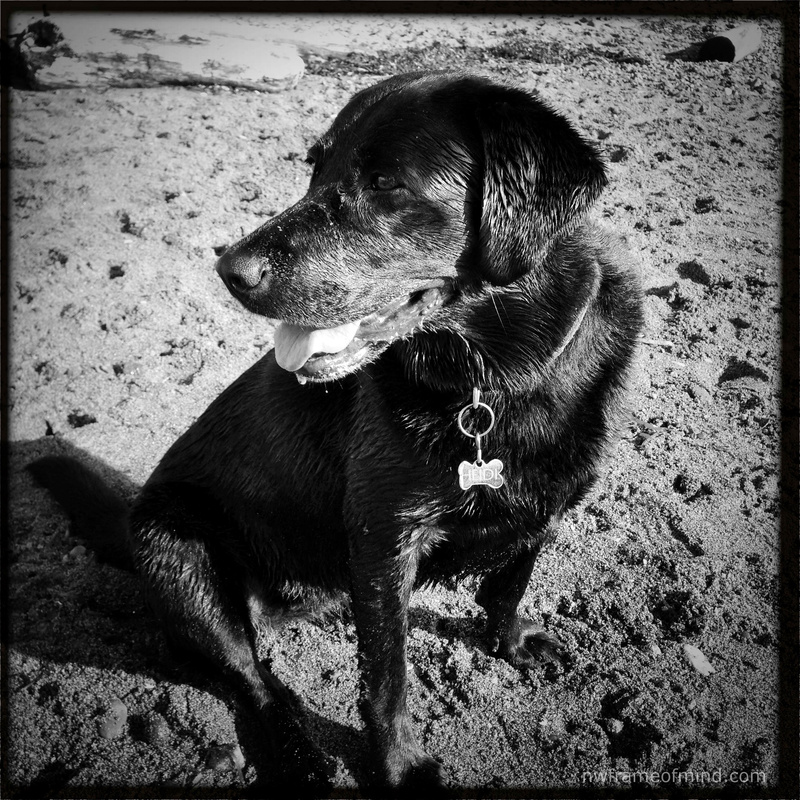 I’ve never met a Lab who didn’t love playing at the beach. The combination of water, sticks, sand, other dogs and stinky things to roll in make for a fun-filled afternoon and a happy, sleepy dog who goes to bed early is pretty nice too. Posted as part of Cee’s Black & White Challenge: Animals. Beautiful lab!! i really like the lighting too! Thanks for playing! Thanks Cee, I’m glad you like it! Great picture. Heidi looks very happy. It is difficult to get a good picture of a black dog. All of our pictures of our black cat, Shadow, never turn out very well. We call him the stealth kitty with a cloaking device. You’re right, it is hard to get enough light on black animals. Cloaking device is a good description. 🙂 Heidi’s nature is to be happy where ever she is, lucky girl! The sand is my least favorite part. 🙂 Oh well! Yes on all counts. 🙂 Aren’t labs great! Heidi looks happy and healthy! Beautiful pic of him. Thanks, she was very happy!